This is the most authoritative and highly recommended book on the subject of Medical Jurisprudence, a multi-disciplinary science. Many chapters have been rewritten based on technical advancements in the fields of diagnosis of ailments, injuries and causes of death that provide leads to many a criminal investigation, references to obsolete medical literature on investigative techniques have been weeded out, reports of forensic case studies collated, best medical practices to assist investigation delineated and case law made up to date. Chapters have images which illustrate the text admirably. 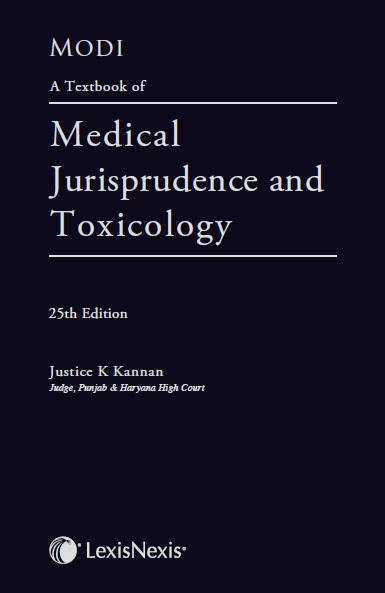 This monumental work has two parts, Medical Jurisprudence and Toxicology, both of which have been edited by specialist contributors from diverse fields. Contributors include legal and medical experts.